It’s a busy weekend coming up! Holy Covenant is providing Breakfast at the Austin Street Shelter at 5:00 am on Sunday, February 3. We will provide breakfast for 400 men, women and children at the homeless shelter. Austin Street is also collecting new and gently used sweaters currently. We will receive all donations on Saturday, February 2, from 9 am to noon in the HCUMC kitchen. All are welcome to travel with us to Austin Street Sunday morning at 5:15 am from the HCUMC kitchen. We will drive to Austin Street, set up and serve breakfast. We will also collect retail plastic bags for the residents to carry their food because all residents must leave the shelter at 7:00 am. For more information, contact Rick Davis 972-814-5325. Join us Saturday, February 2 at 6 pm in the Covenant Center. 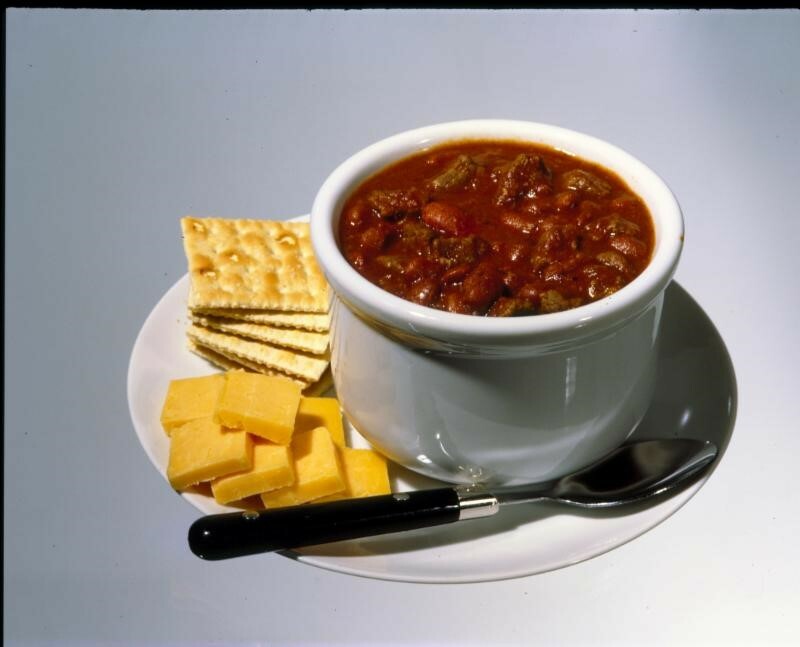 Bring your best chili or soup to enter the competition, and vote (with $) for your favorites! Proceeds will benefit Holy Covenant’s People In Need Fund. Sunday, February 3, is Communion Sunday. The Food Pantry team would appreciate your donations of canned meats, soups and canned fruit. Bins will be available in front of the altar during communion. Join Melissa Beard Sunday, February 10, after worship in Room 211 in the Covenant Center to learn how to become a suicide prevention gatekeeper in this great one-hour training. Question, Persuade, Refer (QPR) is a clear, concise, and efficient emergency response to someone in crisis and can save lives. This class is for everyone – teens, parents, and adults. In QPR, you will learn how wide-reaching suicide is, signs of depression/mental illness, and how to help someone who is feeling suicidal get the help they need. Please reserve your spot by signing up in the narthex. The cost of this training is $3 to cover the cost of the take-home booklet. Join us as our children lead us in worship! The monthly LIFT (Ladies in Fellowship Together) meeting will be Thursday, February 14 at 6:30 pm at the home of Linda Thompson. Go to L.I.F.T. for more information. Bring a snack or covered dish to share, enjoy food, fellowship and a short devotional. If you do not have time to prepare a dish, please come anyway for this time of fellowship! Holy Covenant will host a Parents’ Night Out this Friday, February 15 from 6 to 9 pm in the Covenant Center for ages Infant – 5th Grade. Reservations are required by Wednesday, February 13! Reserve a place for your child at hcumc.org. You may drop off and pick up children anytime during the designated hours. $10 per child; $25 max per same family. 1. Download the free Bible app by You Version. This link should take you to the group from Holy Covenant that are doing this reading together: Invitation. 2. You can use the link above on-line as well. If you don’t want to be connected to others you can just go to bible.com. Go to plans and search The One Year Chronological Bible. 3. You can listen to The One Year Chronological Bible through Audible.com at Audiobook or you can download the app and listen to it on your phone. 4. You can buy a The One Year Chronological Bible in book form through Amazon at Amazon or download it to your Kindle or E-Reader. 5. You can use any Bible you want and follow this print out that tells you what scriptures to read each day: Reading Plan. You can support Holy Covenant while you shop. When you shop at smile.amazon.com, Amazon will donate 0.5% of the price of your eligible AmazonSmile purchases to your favorite charitable organization. To shop at AmazonSmile simply go to smile.amazon.com from the web browser on your computer or mobile device. You may also want to add a bookmark to smile.amazon.com to make it even easier to return and start your shopping at AmazonSmile. Select Holy Covenant United Methodist Church to receive donations from eligible purchases before you begin shopping. Amazon will remember your selection, and then every eligible purchase you make at smile.amazon.com will result in a donation. Support for those supporting others. Surround yourself each month with people who offer kindness, understanding and togetherness to those who care for others. Refreshments provided by Atria Carrollton.